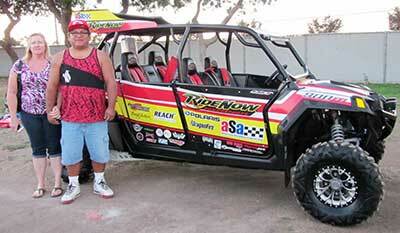 The aSa is pleased to announce the winner of the RideNow Special Edition Polaris RZR - Ticket #12033 belonging to James Arviso from Romoland, CA and winner of the 2nd prize Polaris RZR is Ticket #11149 belonging to Dustin O'Con from Veneta, OR. CVC 38600: Less than 16 years of age must be SUPERVISED. CVC 38601: HELMETS required for all operators and passengers. 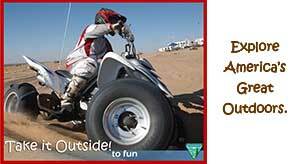 CVC 38601: Seat/shoulder belt or SAFETY HARNESS required when in motion. CVC 38604: Requires passengers to be able to grasp the HANDHOLD while properly restrained with back against the seat back. CVC 38603: Passengers must be seated in location designed and provided by manufacturer. 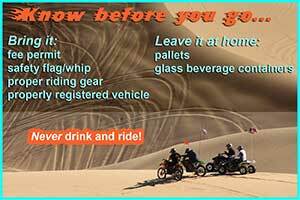 The BLM is looking for dedicated individuals to be campground hosts in several of the Imperial Sand Dunes' popular areas.